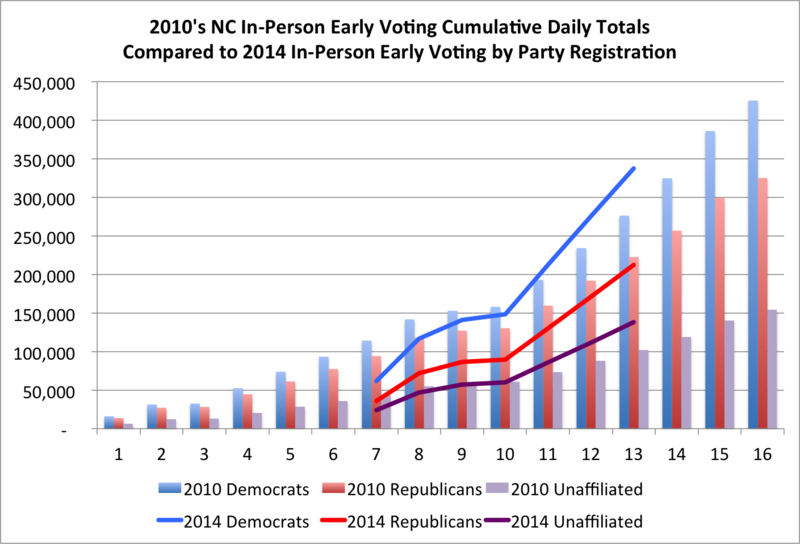 North Carolina's early voting continues its march ahead of where the state was four years in the last mid-term election; among all early voting methods (in-person and mail-in balloting), 731,251 ballots have been accepted for November 4th's election. 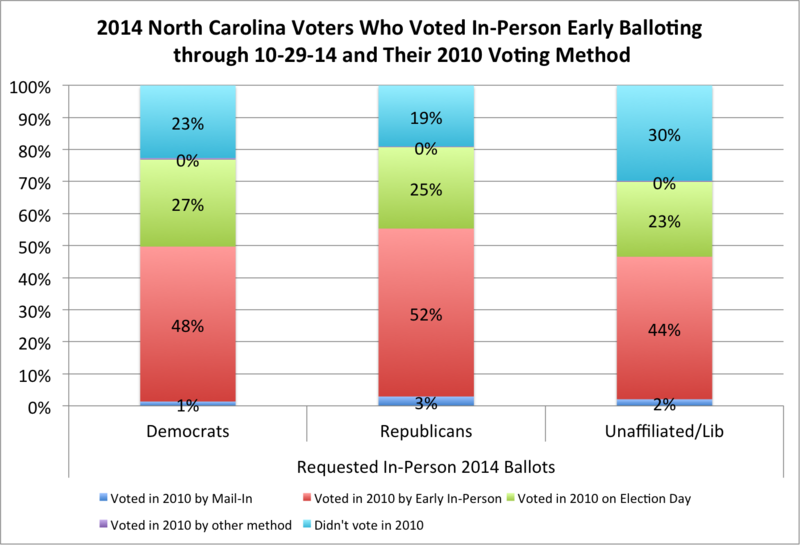 What again is notable is that 30 percent of registered unaffiliated & Libertarian voters (Libertarians being a very small percentage of that number) did not participate in the 2010 election, due to not voting, or not being registered, or not living in the state. 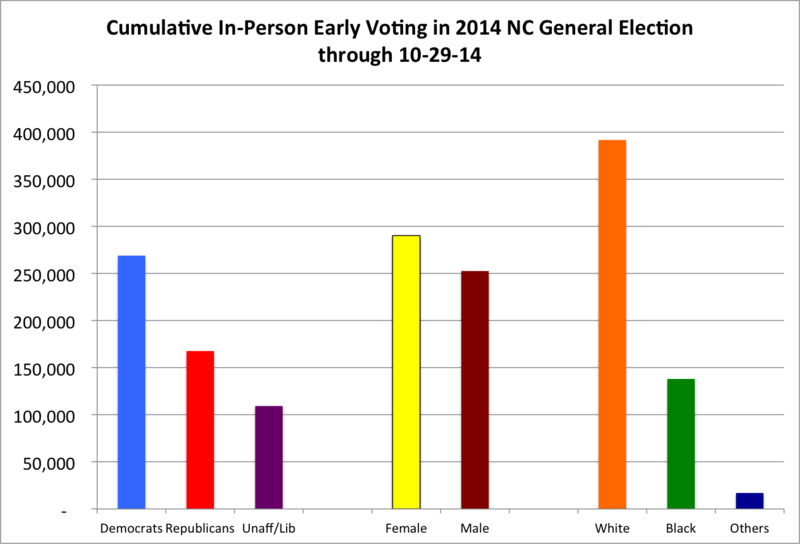 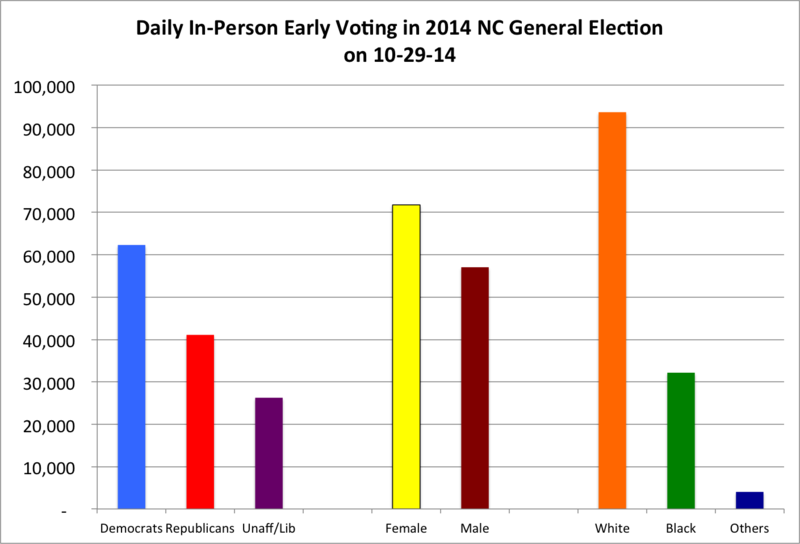 With three more days of in-person early voting left in North Carolina, the shortened time period for early voting seems not to have caused an issue, with Democrats and, surprisingly, unaffiliated voters taking advantage of this period before Election Day.